HMD Global’s Nokia 8 flagship Android smartphone is all set to launch in India next week. The Nokia licensee has sent invites for the New Delhi launch event on September 26. The invite reads “There are two sides to every story. Don’t miss out on yours.” The tagline clearly hints at the launch of the Nokia 8, with its ‘Bothies’ feature that allows users to capture video and video from the front and rear cameras simultaneously. Touted as the “first true flagship Nokia,” the Nokia 8 can be seen as direct competition to the likes of Samsung Galaxy Note 8 and iPhone 8. The smartphone can be expected to go on sale in early October, in line with the timeline shared by an HMD Global representative at the time of the Nokia 8’s launch in London last month. The Nokia 8 price was set at EUR 599 (approximately Rs. 45,000), and its price in India can be expected to be around the same. One of the biggest highlights of the Nokia 8 is its dual rear cameras. The Nokia 8 sports two 13-megapixel cameras with RGB and monochrome sensors. At global launch, the company heavily marketed the “bothies” feature which allows both the cameras at the front and back to capture images and videos at the same time. Nokia 8 cameras have been developed in partnership with Carl Zeiss. Other specifications of the Nokia 8 include a Qualcomm Snapdragon 835 SoC coupled with 4GB of RAM and 64GB of inbuilt storage. 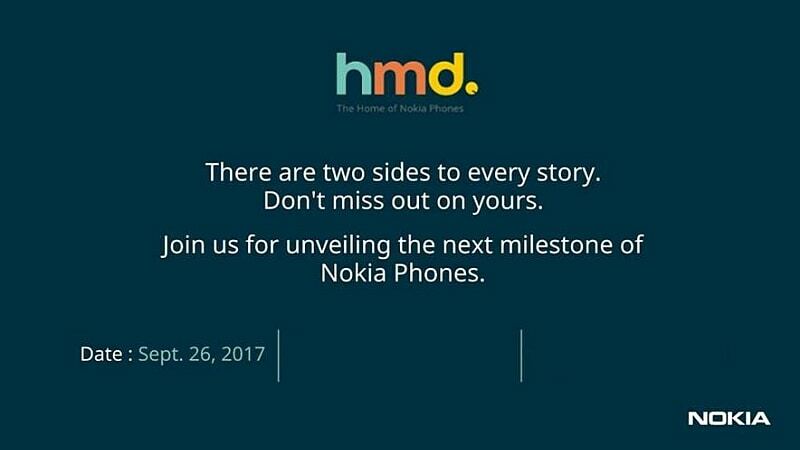 The company is likely to launch the Nokia 8 in hybrid dual SIM option. It comes with support for microSD cards of up to 256GB capacity and a 3090mAh battery. The Nokia 8 features a 5.3-inch 2K LCD display with Gorilla Glass 5 protection. It features USB 3.1 Type-C connectivity as well as a 3.5mm headphone jack.